Just saw this in the Macross Frontier Blog. 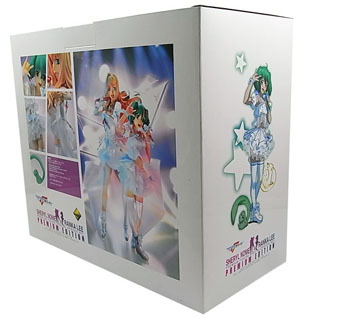 A special lottery for a two for one figure collection of Sheryl Nome and Ranka Lee. Basically its just the two of them together wearing the usual dresses they wear but in the color white. Not sure if this is just a special limited release edition or something that will go full production eventually. 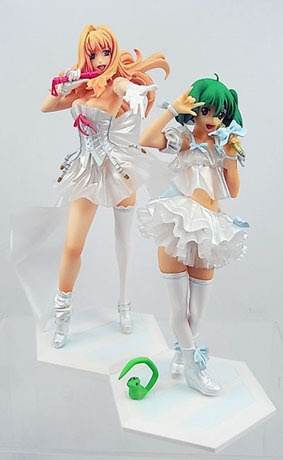 Sheryl Nome is sporting a white and red trim version of her episode 25 attire while Ranka wears the same old thing that she usually wears in concert and during the Ms. Macross Frontier Contest but in a white and blue trim. I personally prefer the original colors of the original figure. Not to mention that the base has the SMS logo prominently displayed. Here's the figure with Ai-kun on top of Ranka Lee. 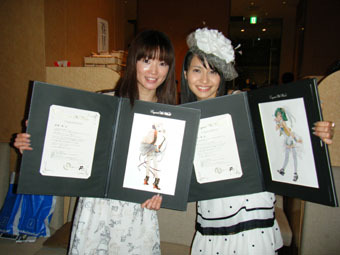 Here's the real Sherly Nome (Aya Endo) and Ranka Lee (Megumi Nakajima) as they won for best supporting actress and Best Musical Performance in the 3rd Seiyuu Awards in Japan. Macross Frontier Ranka Lee N.A Ver. 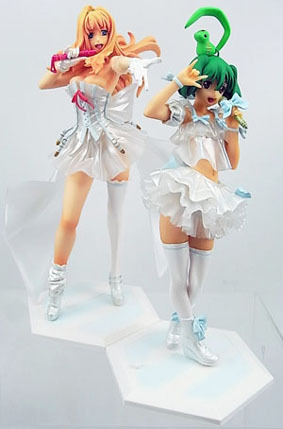 Macross Frontier Ranka Lee Nyannyan Ver.